Coerver® Coaching Japan Instructor Keita will travel to Canberra, Australia in January 2019 to embark on a coach exchange program with Coerver ® Coaching ACT. Keita will join Coerver ® Coaches at clinics, schools and camps across the ACT and region totally immersing himself in the Australian culture and the Coerver ® Coaching ACT program. Coerver® Coaching ACT recently caught up with Keita to interview him prior to his visit to the ACT. CC. How long have you worked for Coerver® Coaching? CC. What makes Coerver® Coaching so different? KY. In Japan, compared to training conducted by other clubs, Coerver® Coaching is much more fun (a lot of smiles). We teach Ball Mastery, 1v1 Moves, topics, and many variations of training which widens the skill set of the players. Also, our coaches go through the Coerver® Academy of Coaching for 1 year. CC. Have you been to Australia before? KY. Yes, I have been to Cairns and the Gold Coast for my honeymoon. CC. What are you looking forward to during your time with Coerver® Coaching ACT? KY. I am excited to travel. 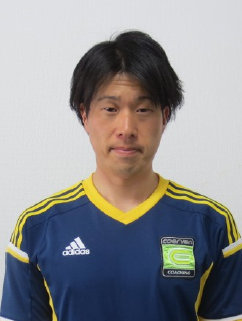 I want to learn how the Coerver ACT coaches and players are different from in Japan. I am looking forward to observing the unique style of each coach and I want to help the coaches improve their coaching skills by sharing my experience. CC. What do you think will be the biggest difference between coaching Japanese and Australian players will be? KY. I have not seen much coaching of Australian coaches, but I know that Japanese coaches spend a lot of time in the detail. I believe it is part of the Japanese culture where we focus a lot into the details, which is reflected in our coaching. I would like to learn a lot from my coaching experience in Canberra and reflect on it once I return to Japan. We look forward to seeing Keita in Canberra, Australia in January 2018.